This electrical training course combines together the City and Guilds 2391-50 Level 3 Award in Initial Verification and the City and Guilds 2391-51 Level 3 Award in Periodic Inspection to deliver a comprehensive programme covering both disciplines. With this qualification, you’ll gain the skills and preparation needed for initial verification and period inspection (and associated testing) of electrical installation work. 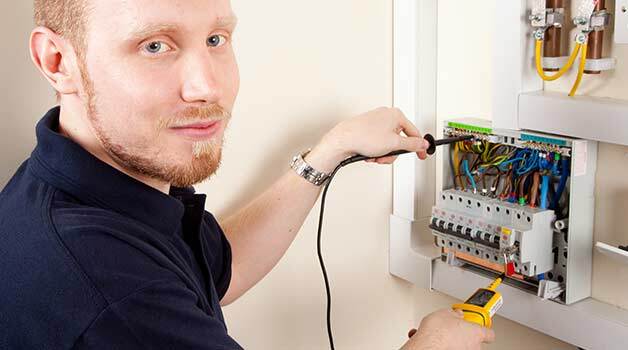 You can use this course to progress further in your electrical career as an installer, or you can use it to progress further onto other disciplines such as City and Guilds Level 4 Award in the Design and Verification of Electrical Installations (2396). We will be running the City and Guilds 2391-52 Inspection and Testing course at our Watford, London and Stockton-On-Tees, Teesside electrical training venues. During the City and Guilds Inspection and Testing course you will be working in both a classroom environment and also gain hands-on, practical experience with our in-house, purpose-built electrical installation training bays. Our tutors will guide you through all aspects of inspection and testing ranging from basic health and safety to actually performing testing using different types of test equipment. As our groups are kept as small as possible, you can expect plenty of hands-on tuition from our training team and can always rely on PASS delivering quality training at all times. We highly recommend purchasing a copy of the following books to study before, during and after this course. We sell all three of these books through our test equipment sales website, www.tester.co.uk Click a link above to each recommended book. Feel free to give our sales team a call at any time if you’d like any of the books for your course. The IET Wiring Regulations and Guidance Note 3 books are allowed to be used during the examination.